Hannibal: You caught the Chesapeake Ripper. Jack: We didn't catch you, you surrendered. Hannibal: I wanted you to know exactly where I am, and where you can always find me. Permalink: Hannibal: I wanted you to know exactly where I am, and where you can always find me. 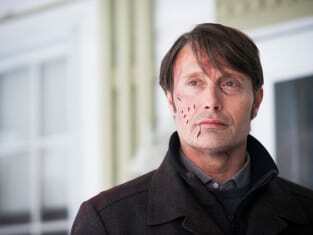 Hannibal: You delight yourself in wickedness and berate yourself for the delight. Will: You delight. I tolerate. I don't have your appetite. Goodbye Hannibal. Permalink: Will: You delight. I tolerate. I don't have your appetite. Goodbye Hannibal. Permalink: Alana: Play with your food, Mason, and you give it the opportunity to bite back. You're going to eat him with my face? Permalink: You're going to eat him with my face? Hannibal: What are you going to do after you eat me? Will: You could erect some foster homes and torment some children. Permalink: You could erect some foster homes and torment some children. Don't you worry, Dr Lecter. You will always be cooked to perfection. Permalink: Don't you worry, Dr Lecter. You will always be cooked to perfection. I can abide the thought of Hannibal being tortured. Not necessarily to death. I say he has it coming. Alana: No Mason. We all are. Didn't you know that? Permalink: Alana: No Mason. We all are. Didn't you know that? Chiyo: Did you eat her? Hannibal: Yes, but I did not kill her. Permalink: Yes, but I did not kill her. Permalink: When it comes to you and me, there can be no decisive victory. I miss my dogs. I'm not going to miss you. I'm not going to find you. I'm not going to look for you. I don't want to know where you are or what you do. I don't want to think about you anymore.